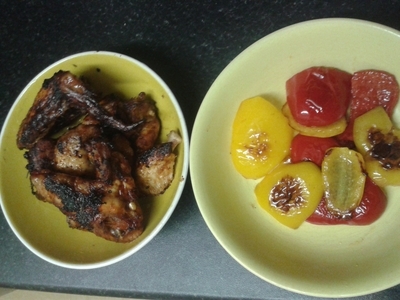 I recently enjoyed lemon, honey and buttermilk chicken wings at a streetfood event attended with my friend and her two sons. 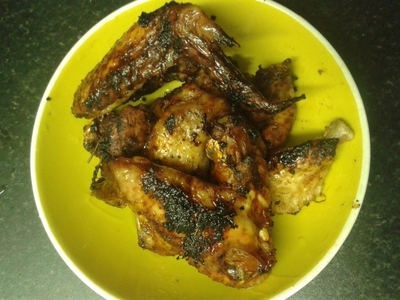 We all shared a large bucket of these wings, and the boys absolutely loved them. 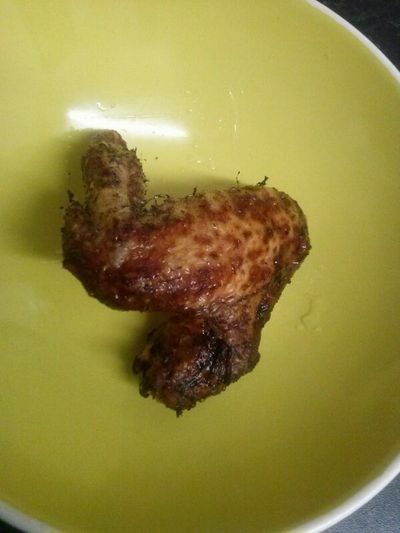 I couldn't think of a better way to use up chicken wings when I was helping cook for a kids party my cousin was throwing for her 6 year old daughter. Easy, and delicious, these wings are the perfect finger food, and great for smaller hands. They're a doddle to whip up, and kids love them. Bon appetit. 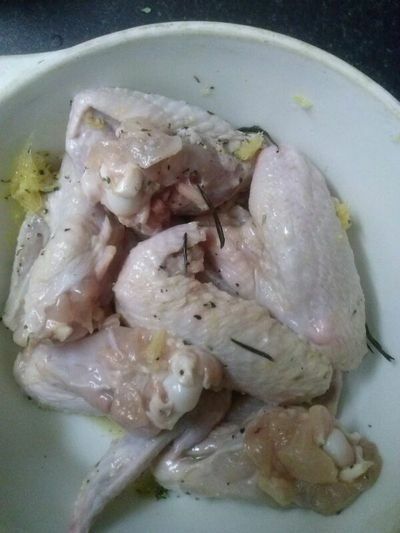 Wash the chicken wings and set aside. 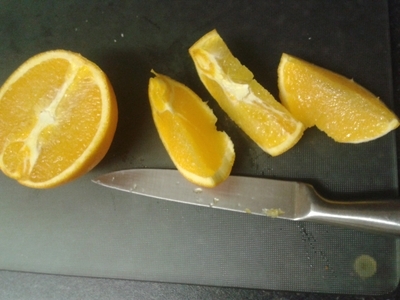 Chop the orange into chunks. 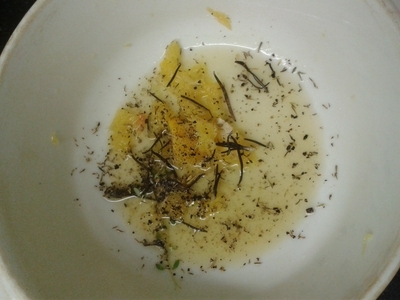 Place the juice, segments and the rest of the seasoning in a large bowl. Add the wings and toss. Pour over the buttermilk and honey, and using your hands, coat the chicken. If you have the time allow to marinate for an hour. 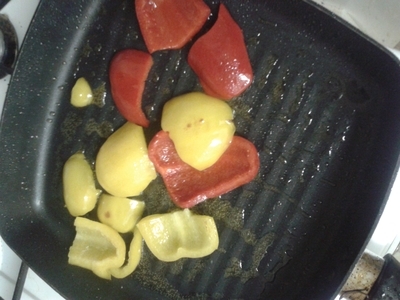 Set a saucepan of oil to a low heat. 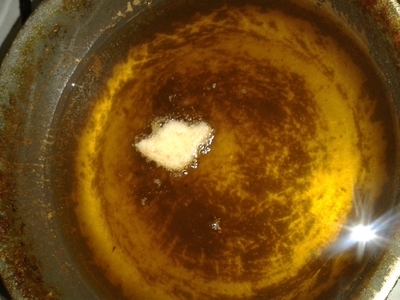 To test the oil temperature drop a piece of bread into the oil. 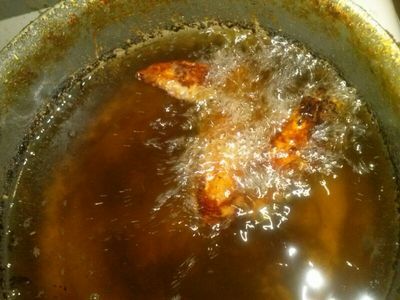 It should sizzle slightly, if burnt to a crisp, your oil is too high. 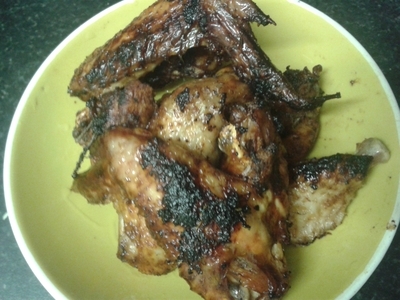 Add one wing, to test the heat and see how it fares, for 15 minutes/until completely brown all over. 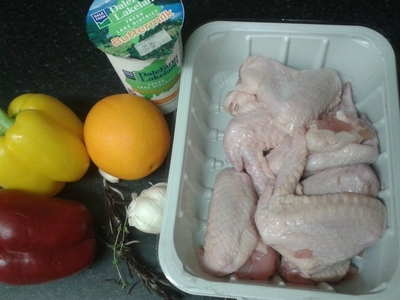 Repeat with the rest of the wings - no more than 3 wings in the saucepan at a time, for even cooking. Serve in a large bowl, so kids can tuck in. If you're serving the wings as part of a meal follow the next steps. Griddle on a griddle pan with a glug of oil, black pepper and thyme. 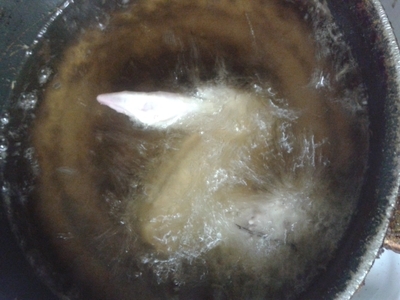 Cook for 10 minutes over a low heat. Serve alongside the wings, in a small bowl, so people can serve themselves. Chicken wings are a cheaper cut of meat, but don't turn your nose up at them because they are usually sold at a low price. The flavour from the bones is incredible, and you can't beat the flavour when married with the right seasoning. 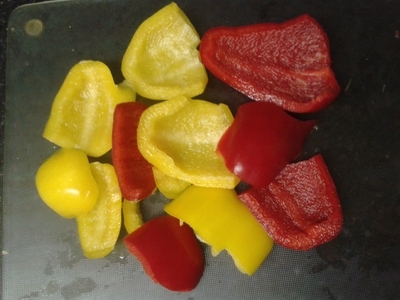 Note, I never add salt when cooking chicken with the skin on because it dried out the skin and impairs the flavour whilst cooking, feel free to season with salt, once cooked, but when cooking for children I always omit this step. Enjoy.